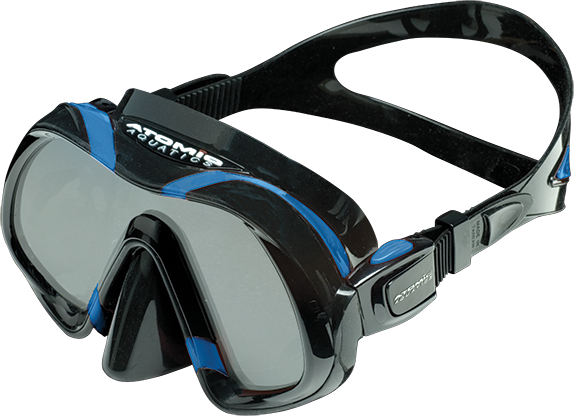 Atomic Aquatics revolutionized the dive industry with “UltraClear” lenses. Before UltraClear, all dive mask lenses were made from low-quality float glass with a visible green tint caused by iron particles remaining in the glass after processing. These green iron particles significantly block light transmission through the lens. All Atomic Aquatics masks utilize a higher quality optical glass that significantly improves underwater vision allowing up to 96% of light transmission-UltraClear glass. Our NEWEST UltraClear lens in the VENOM dive mask is made by the Schott Glass Company in Germany. The VENOM gives you the highest purity grade UltraClear glass available. That means you get incredible clarity and high light transmission that isn’t available in other masks-even those who claim to be ultra-clear.